petition: Every Voter Deserves A Voice. End Gerrymandering! Every Voter Deserves A Voice. End Gerrymandering! Elections should be determined by voters, not politicians who draw maps. Unfortunately, in North Carolina and other states across the country, partisan politicians and special interests have rigged the system. They've established an unfair political advantage through gerrymandering — manipulating voting district maps to lock in their advantage with little regard for the will of the voters. Every voice should be heard, and every vote should count equally. The Supreme Court must set clear guidelines to prevent elected officials from drawing voting maps unfairly and stripping voters of their voice. A North Carolina district court found the state's congressional map, and several of its individual districts, unconstitutional under the First and Fourteenth Amendments. Now, the case is headed to the Supreme Court. This is the Court's opportunity to rein in the anti-democratic practice of partisan gerrymandering and create ground rules that safeguard the fundamental right to have our votes count. 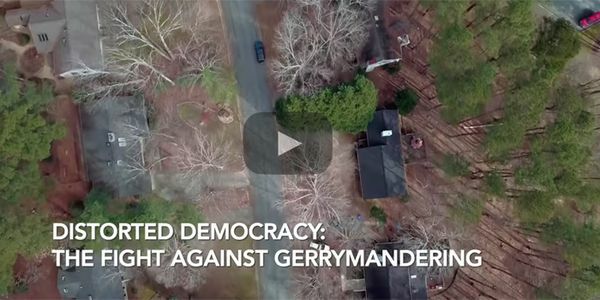 Sign the petition and show your support for ending gerrymandering.